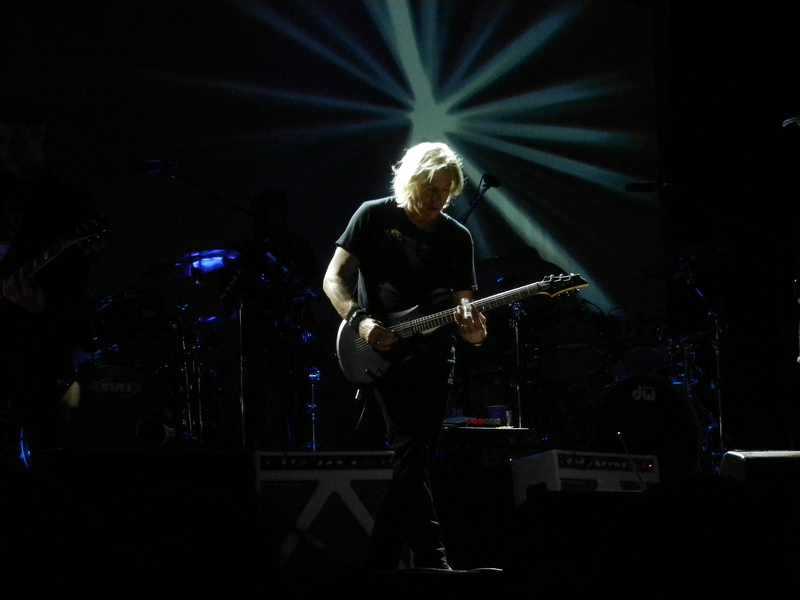 It was a rare solo appearance for Joe Walsh at the Seneca Allegany Casino Saturday evening. Joe is currently on a limited tour supporting his first studio album in twenty years, entitled Analog Man. With The Eagles on a break, Walsh decided the time was right to release his solo album and do some touring. 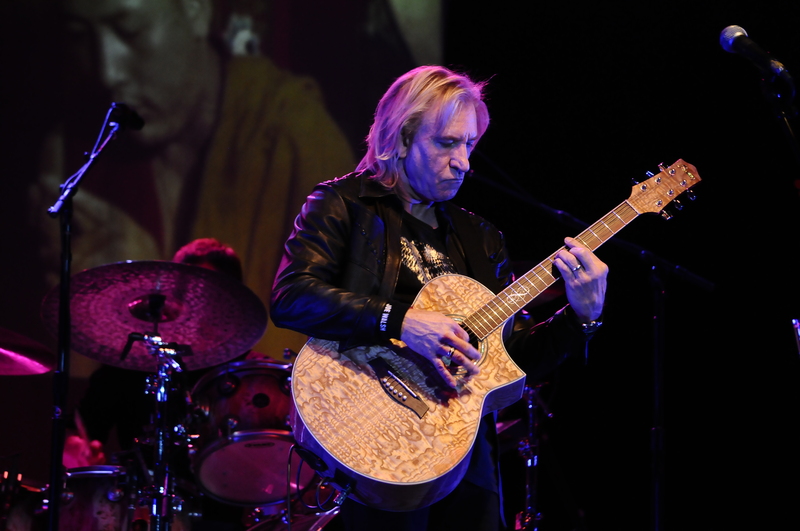 With the plethora of songs from the various stages of his career, Walsh tried to carefully constructed a set list to satisfy everyone. Starting off with “Welcome To The Club”, from his 1974 So What release, Walsh kickstarted the show into high gear. 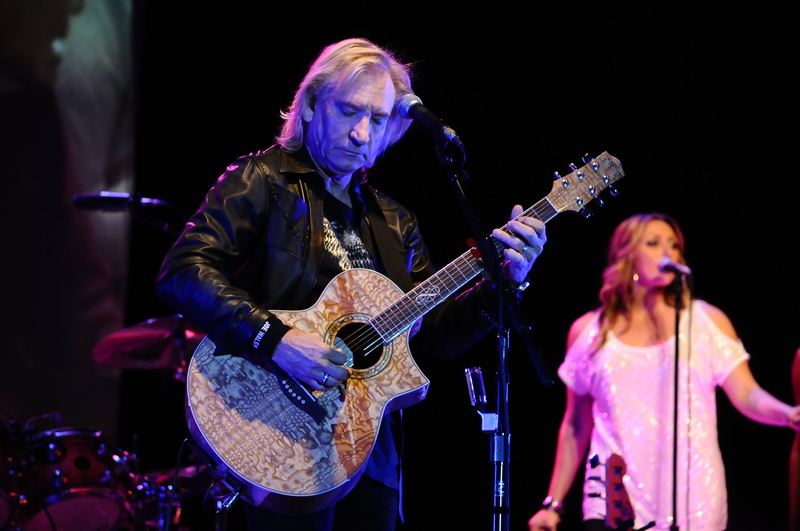 Following up with the acoustic flavoring of “A Life Of Illusion” kept things rolling along nicely as he then went into his first of three James Gang tracks of the night, the boisterous “Walk Away”. The biggest surprise of the evening occurred when Joe went into “The Confessor”, a song that Joe just recently brought back into his set. It was the lone representative from his 1985-92 era of albums. Joe honored his longtime friend Levon Helm, who passed away this past April. He dedicated the Bob Dylan song “I Shall Be Released” to Helm as the background singers took their time to shine with each taking a verse on this track. As soon as the first notes of “In The City” were played the crowd came to attention as this seemed to be the first big highlight of the evening. As Joe went into his introduction of “Life’s Been Good”, you would almost think the roof was about to come off. Walsh, 64 still has some power left in his voice. He closed out the main set with his take on “Life In The Fast Lane”, an Eagles song that he co-wrote with cohorts Don Henley and Glenn Frey. 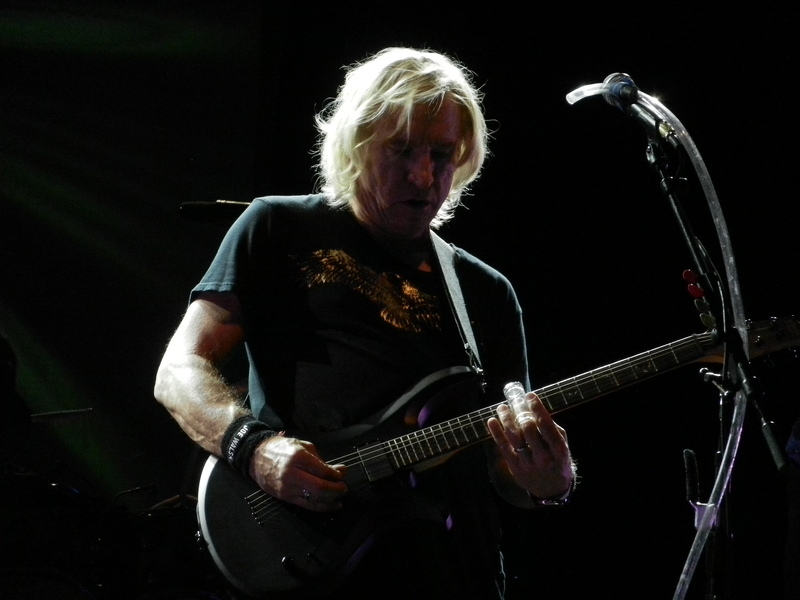 It is not very frequently that Joe has had the time to tour as a solo artist. 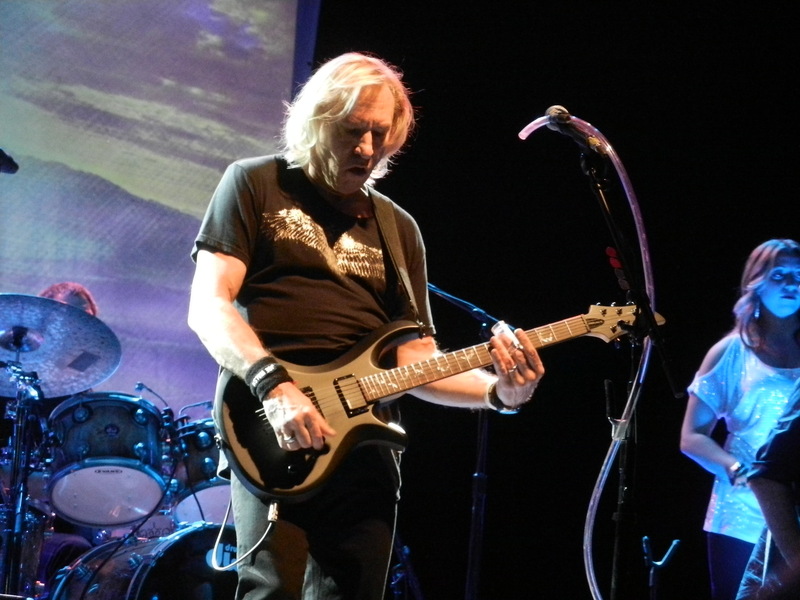 Being in the Eagles demands much of his time and he needs to be ready to tour when they decide to go out on the road. That being said just being able to see Walsh perform solo again made it well worth sitting through whatever Joe wanted to play. If the opportunity should come up again, perhaps he will try to stick to his own material given he seldom gets the chance to play solo. One thing is for sure he is definitely not your “average” Joe. Special Thanks to Tony Astran for setting us up to review the show!